On Wednesday, April 9, numerous teams lined up at TPepin’s Hospitality Centre to partake in this year’s Cut for a Cure running from Saturday, March 1 to Friday, May 2, including a team of residents from FishHawk. The team One World, One Child consisted of fathers and sons all dedicated to shaving their heads to raise money for cancer. By the morning of the event, their team raised more than $13,500 and counting to split with the Pediatric Cancer Foundation (PCF) as well as One World, One Child; an organization formed to provide not only financial support to children in need, but medical support as well. It is a 501(c)(3) public charity offering programs to enhance the quality of life for children with cancer by helping with education and physical well-being. It is also a supporter of A Kid’s Place in Brandon and recently donated over $17,000 to the organization. The members of One World, One Child appreciate the support of their tight knit community. 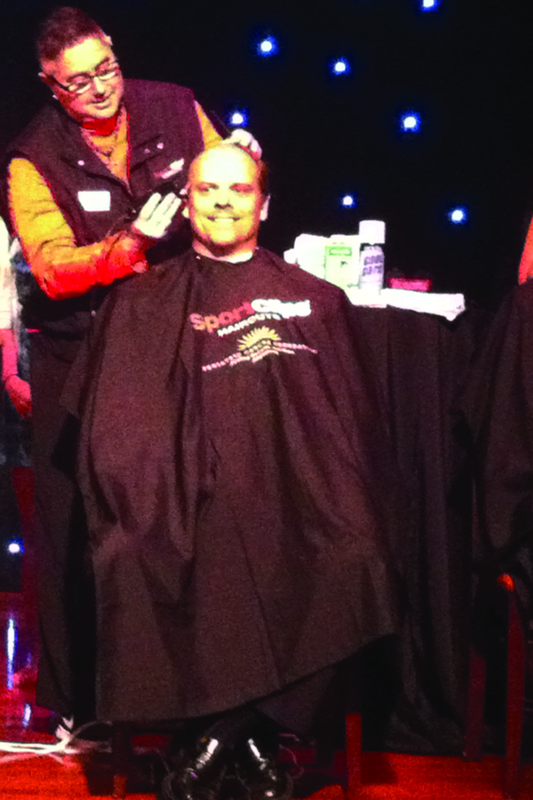 The president and founder of the organization is Rob Tewes who celebrated being three years cancer free by getting his head shaved at the event. He was joined by Dave Mielke, Jeremy Persinger, Jack Tamayo, Ray Lee and Ken Aguiar; as well as their children Jake Tewes, Mitchell Persinger, Noah Grant, Mason Grant, Kaden Aguiar, Tayden Hall and Zach Bale. 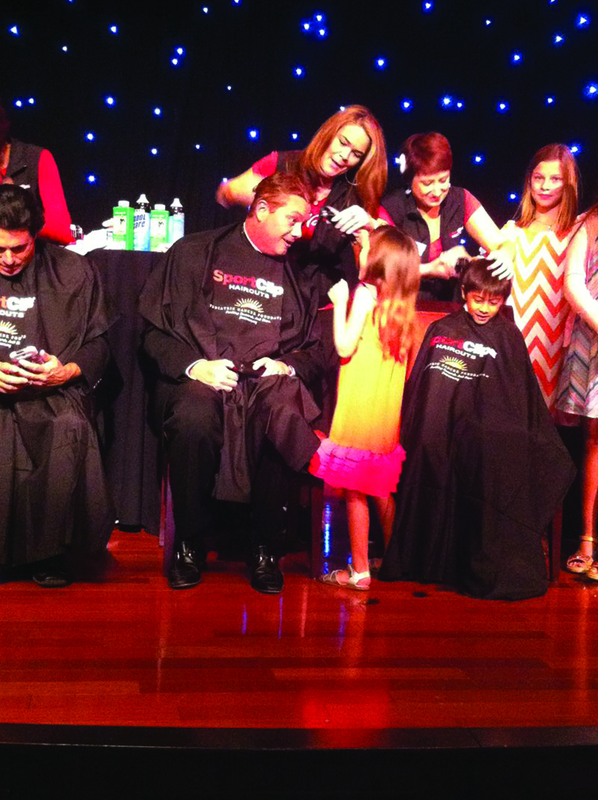 “We love when people donate their money to help support this cause, but we love it even more when people participate in events like this by shaving their heads to show support,” said Jeremy Persinger, a board member of both One World, One Child and PCF. Being on the PCF Board and seeing first-hang the costs involved in fighting cancer motivates Persinger to raise money. “Clinic trials can be about $12,000 to $15,000 and that’s just for phase 1,” Persinger said. As of the event on Wednesday, April 9, PCF raised about $200,000 and it isn’t stopping until it reaches the goal of $350,000 by Friday, May 2. “A big reason One World, One Child likes to partner with the Pediatric Cancer Foundation is because they are one of the few organizations that will partner up with non-profit organizations to raise money,” said Tewes. To learn more about this organization and the members from FishHawk involved, visit www.facebook.com/oneworldonechild. To learn more about the Pediatric Cancer Foundation, visit faster cure.org. Individuals interested in supporting One World, One Child can contact Tewes at 777-1580.